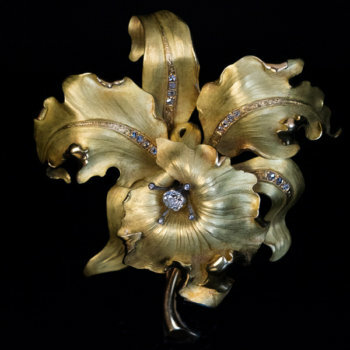 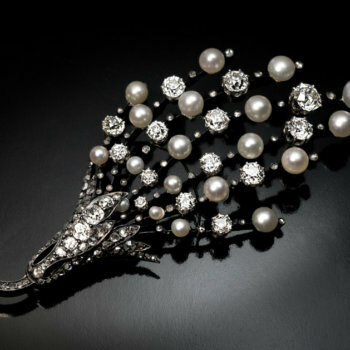 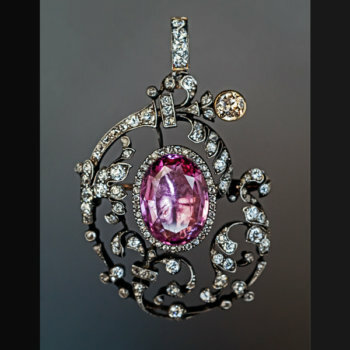 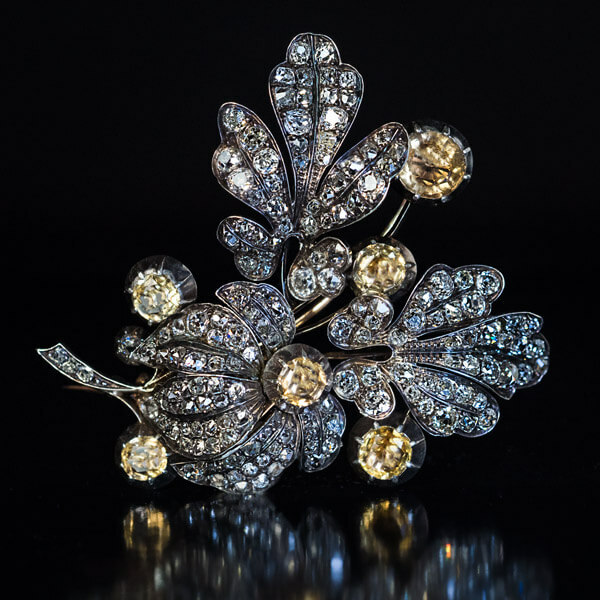 A large antique early Victorian era brooch is naturalistically modeled as a spray of flowers. 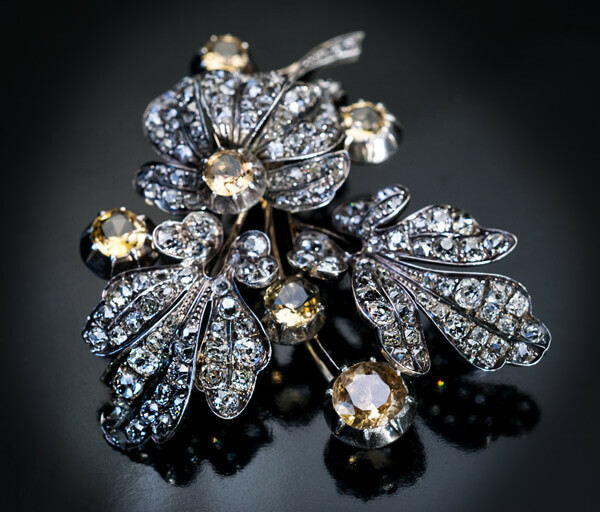 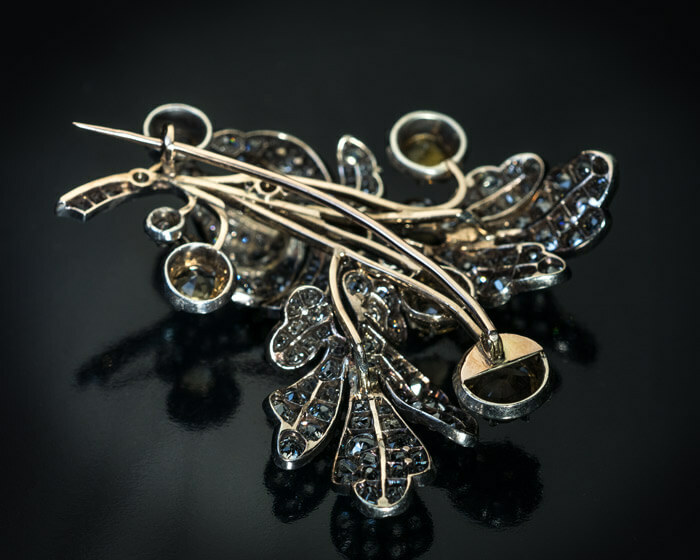 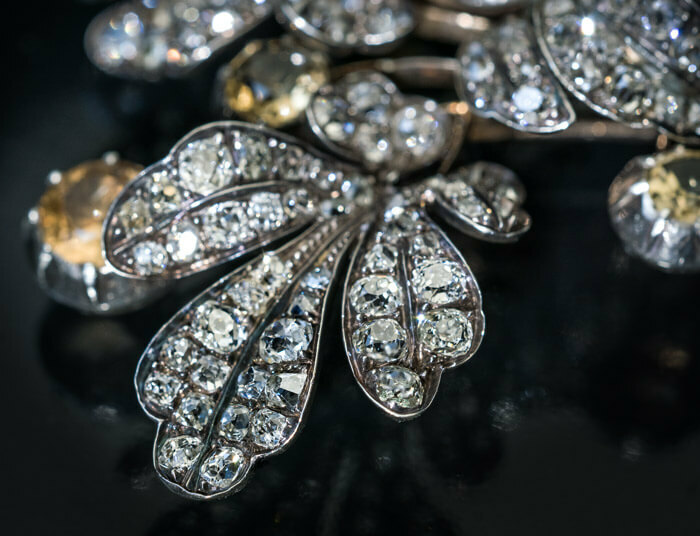 The brooch is finely crafted in silver-topped gold and embellished with champagne color topazes and sparkling bright white old mine cut diamonds. 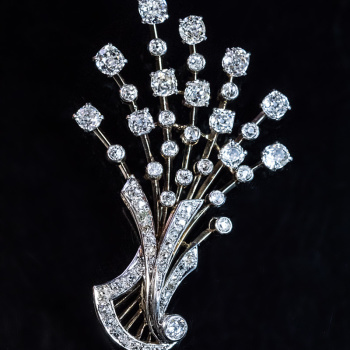 Estimated total diamond weight is 11 carats.